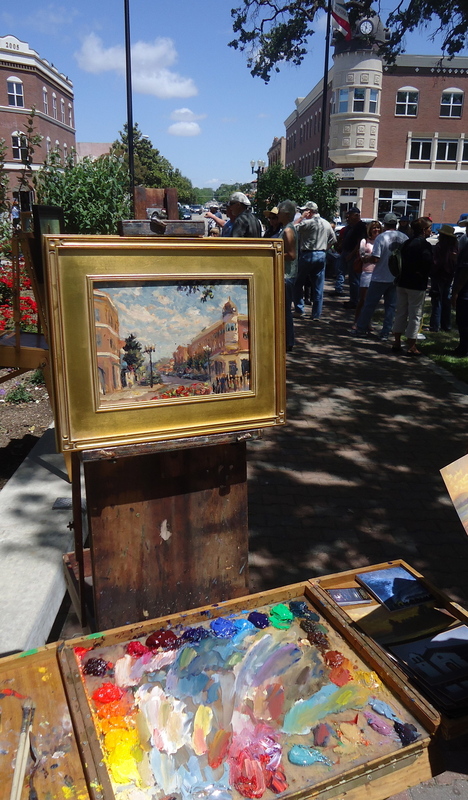 30 Nationally Recognized plein air landscape artists, including Ray Roberts, John Cosby, decended on Paso Robles last Saturday for the Plein Air Festival, about Local Color. The quick sketch competition rules: paint something from life in a two hour time period. Frame the painting, then sell it at the live auction before the enthusiastic public. Even though my painting was not juried by Steven Dourghty, Chief Editor of Plein Air Magazine, to win 1st, 2nd, or 3rd, prize, it did share the honors with two other artists for, "The People's Choice Award". 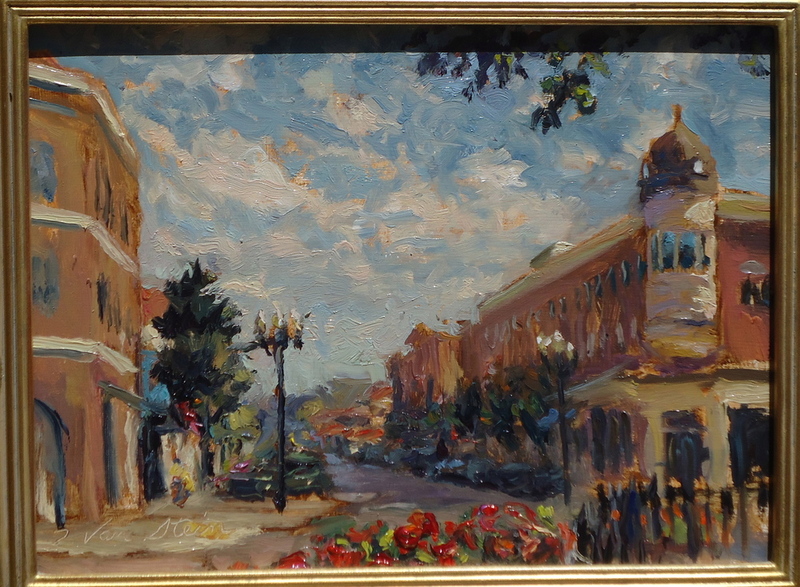 To cap it off my painting fetched the highest price out of the 30 paintings in the live auction; selling for $2000.00.The festival was a lot of fun, and I was impressed with the Paso Robles Artists and the community which supports them.